This community occurs in sheltered ravines and slopes in the Piedmont and Coastal Plain . 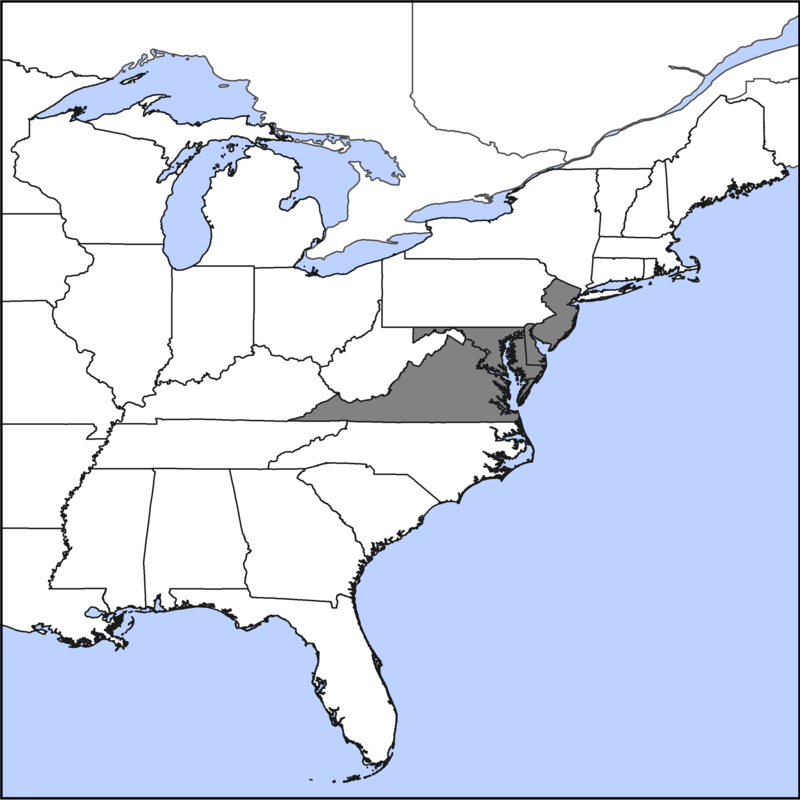 The range map indicates states in which this natural community has been documented. This community grows in nutrient-rich soils, and may have a lush look compared to nearby natural communities . The canopy consists of American beech, tuliptree, bitternut hickory, and northern red oak. You’ll often find northern spicebush and pawpaw in the shrub layer . The field layer (low plants) is lush and diverse, and often contains mayapple and Christmas fern. The soils in a Basic Mesic Hardwood Forest are enriched with basic elements, such as magnesium and calcium, which in some cases may be supplied by groundwater . Additionally, in the Piedmont , these elements may come from underlying bedrock rich in dark minerals such as biotite , hornblende , pyroxene, olivine, garnet, and others. In the Coastal Plain , basic minerals may be supplied by layers of ancient shells or limestone that underlie the forest. How vulnerable is a natural community? Is it at risk of elimination? Learn about conservation status. Official names reduce confusion by providing a common language for talking about natural communities. Why so many names?